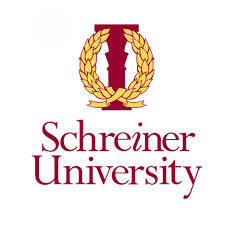 Schreiner University will always hold student success as its first priority. The university will be known for its academic rigor; it will continue to be an institution of opportunity where students from a variety of backgrounds and experiences learn through educational programs equipping them to achieve, excel, and lead. The university aspires to serve as a standard to others in programs and practices.When you ask students what they like most about Schreiner, they always mention that they like the small, personal atmosphere and the small class sizes. Schreiner University is a small university and we like it that way. With approximately 1,000 students on campus and a 13:1 student to faculty ratio, students get the attention they deserve.Schreiner may be small in size, but you'll receive a big education. Schreiner offers 27 majors, and graduates in our pre-professional majors like pre-law, pre-med, pre-veterinary and pre-dentistry have over a 95% acceptance rate into prestigious graduate-level programs in their area of study.